One day, you look into your fish tank and notice a cute little snail clinging to the inside of the glass. You’re curious how it got there, knowing that you didn’t put any snails in your fish tank, but you let it be for the time being. A couple days later, you see that that one is still there, but there are also a couple more in the gravel. A couple weeks later, the snails have multiplied greatly, and now they’re spread out all over the gravel. Let’s try to clear things up for you. Although they honestly beautify your fish tank and give it more personality, snails that seem to magically appear in your tank are considered pests. But don’t worry. These pests aren’t all bad. The good news is that the snails eat algae. The bad news is that they multiply as a result of algae. The snails first enter your fish tank from live plants, or are scooped up with new fish. The snails then feed off excess algae in the tank or leftover food at the bottom of the tank. In other words, if you have pest snails in your fish tank, it means you either have too much algae in the tank or are overfeeding your fish. Snails do multiply very rapidly, especially because they don’t need a mate to reproduce. A snail simply fertilizes its own egg. In fact, you probably have more snails in the tank than you realize, as many of the snails could be burrowed into the gravel. 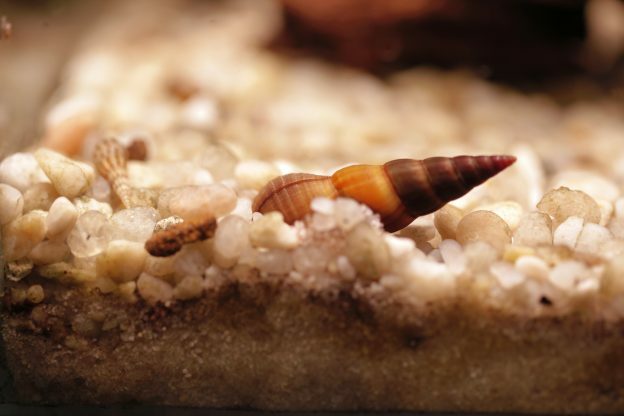 Although the snails can reproduce in both freshwater and saltwater tanks, they’re much more prevalent in freshwater tanks, and this infestation could be harmful to the rest of the wildlife. 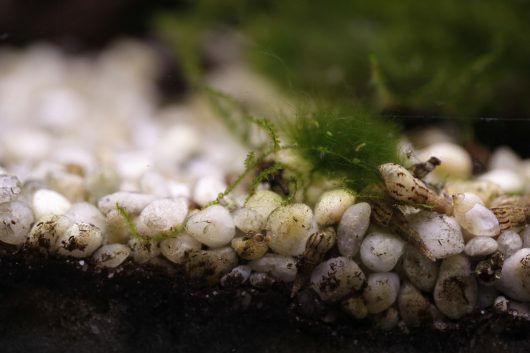 As the snails become bigger and more plentiful, they could eat your aquarium plants or clog your filters. To prevent snails from entering your fish tank environment to begin with, make sure there is nothing else in the bag when you buy a new fish. You also should soak new live plants before adding them to the tank. A variety of different solutions are suggested by hobbyists, such as one part bleach to nine parts water. Soak the plant in this solution for 10 minutes, and then rinse the plant in RODI water and let it air dry before placing it in the tank. While effective, the bleach method can be hard on the plants, however. An alternative method is to dip the plants in a saltwater mix, which consists of one cup of aquarium salt per gallon of water. Dangle the plant upside-down into the saltwater, but do not submerge the roots. Keep the plant in the water for 15 minutes to give the salt time to get rid of the snails. After taking the plant out, rinse it in RODI water and plant it into your aquarium. There are several ways to eliminate snails, or at least control the number that you have in the tank. • As suggested by Spruce Pets, attach a leaf of lettuce to the glass inside your fish tank. The snails will love it, and you can then simply take out that lettuce leaf full of snails and dispose of it. • Add fish that eat snails into your tank. These fish include loaches, puffer fish, blennies, wrasses, and triggerfish. • Try additives such as AZOO Nano-Tech Snail Treatment to control the snails. Overall, the best way to prevent infestation is proper aquarium maintenance by a qualified technician. If you are concerned about snails in your fish tank, contact us at Seatech Aquariums for fish tank maintenance services. This entry was posted in Aquarium Maintenance, Freshwater Aquariums and tagged Aquarium Maintenance, Eliminate Snails, fish tank, Fish Tank Snails, Prevent Snails on October 24, 2018 by admin.